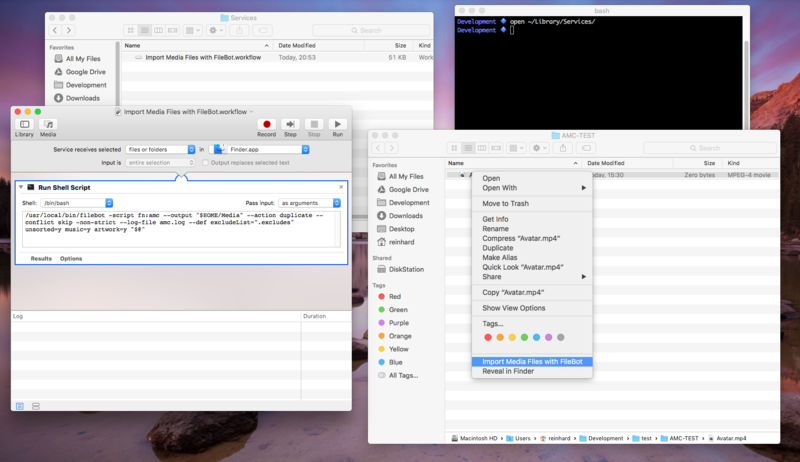 Mac OS X Automator is a great built-in tool for automating various tasks. 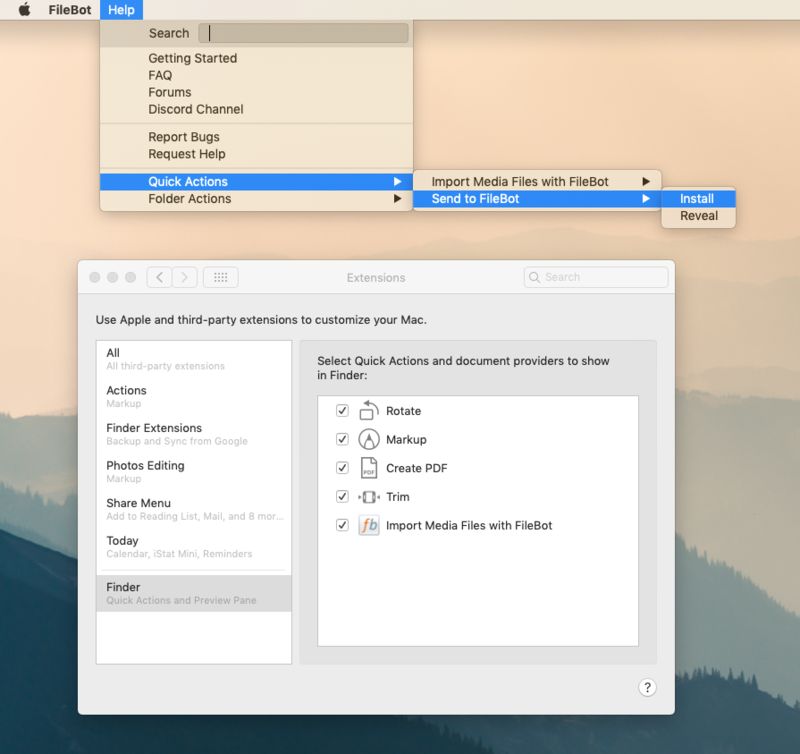 Making custom context menus for Finder (i.e. Quick Action) and watching folders for new files (i.e. Folder Action) for console tools like FileBot is straight-forward. Starting with FileBot 4.8.5, FileBot now includes sample Automator workflows that you can install / uninstall via the Help menu. In this example we will use Automator to watch a given folder for new files and pass them on to FileBot: Automated Media Center for processing. /usr/local/bin/filebot -script fn:amc --output "$HOME/Media" --action duplicate --conflict skip -non-strict --log-file amc.log --def excludeList=".excludes" unsorted=y music=y artwork=y "[email protected]"
Done! Newly added files will be processed fully automatically! It's pretty much the same the above. I'll leave it as an exercise for the reader. I have followed all your steps, and when I run the Automator I get the following error message: "Illegal usage: output folder must exist and must be a directory: "Media". Can you help me with this issue? It is my first time writing scripts and I have no clue of the proper spelling of the output route. What are you trying to do achieve? What's not working? What have you tried so far? I am running automator on a Mac Mini, runnin OS Sierra 10.12.4. I am trying to set Automator to look up the destination folder of Transmission (called "Transmission"), where all the movies and tvshows are dowloaded, and process the media files through Filebot to rename them and send them to the Media folder. Hopefully, in a second stage I would like to send the renamed files to external hard drives and even get the subtitles, but I dont want to bother you even further. I have installed the filebot console tools and checked that are working. When I follow the instructions given by you in this post, I open Automator, I select new Document and select Folder Action. I click the Choose folder combobox and select the folder "Transmission"
It's a very bad idea to watch active download folders for changes. This could not possibly end well.